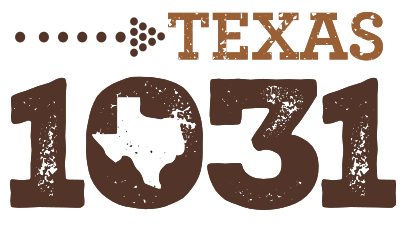 The Texas 1031 Exchange Company serves clients all over the United States. Most come to us as referrals from clients, CPA’s, attorneys, and real estate professionals throughout Texas. Our goal is not to sell our services but to find solutions suitable for your situation. Many times a 1031 exchange is not the answer but other times it may be a not-so-obvious solution. Please feel free to call Sydney or Wayne and discuss your scenario. While your professional tax advisor should be your source of legal advice, we are happy to discuss the many considerations that result in a successful 1031 Exchange. Wayne has been a Certified Exchange Specialist® since 2006 and has been facilitating exchanges full time since 2003. Wayne has been active in the Federation of Exchange Accommodators and is currently serves on the CES® Certification Council. While he is also a licensed Texas real estate salesperson, he does not actively list or sell properties but does stay apprised of the latest information in the real estate world. Wayne started his career is production agriculture and agri-business. He graduated from Texas A&M University in 1969. Sydney became a Certified Exchange Specialist in 2008 and has been facilitating exchanges since 2003. She also holds a Texas real estate salesperson license in order to stay connected in the local and state real estate markets. She does not represent buyers or sellers of real estate but is very active in the Women’s Council of Realtors, local, state, and national chapters. Sydney was named Entrepreneur of the Year in 2012 for the local chapter and Member of the Year in 2008. She was the Women’s Council of Realtors local chapter president in 2011 and currently serves on the New Braunfels Board of Realtors. She received a degree in Education from Texas A&M University –Commerce. Currently, almost anyone is legally permitted to act as a Qualified Intermediary to facilitate Section 1031 Exchanges. This lack of regulation may create a host of problems; even one mistake could invalidate the tax-deferment benefits of an exchange. In response, the Federation of Exchange Accommodators (FEA) has instituted a Certification and Continuing Education Program, designed to increase the professionalism of the exchange industry and foster public confidence in selecting and working with an exchange accommodator. The program is available only to FEA members who meet specific work-experience criteria and pass an exam on exchange laws and procedures. Successful candidates are awarded the designation of Certified Exchange Specialist® (CES®). The test for the certification covers an array of exchange-related topics designed to challenge the candidate’s knowledge of exchange rules and competency in performing the critical activities of an exchange facilitator company. The test also focuses on ethical issues that emerge when any third party controls the funds of another. Because Section 1031 exchanges are complex transactions, the CES® designation is an important indicator of an accommodator’s experience and knowledge. It demonstrates to a property owner considering an exchange the professional they have chosen has met the key criteria necessary to perform exchange transactions accurately and ethically. Serve the public by encouraging quality Section 1031 exchange services. The FEA Certification Council, with the assistance and advice of professionals in relevant fields, has developed this credential to recognize accepted levels of expertise in the profession with the goal of improving professional standards in Section 1031 exchange services. The FEA continues to welcome constructive comments and suggestions from the public and the profession about the certification program.